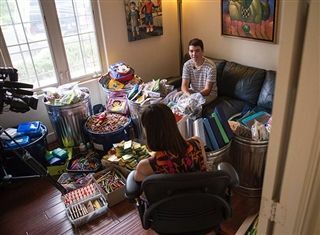 Tools Organizing Succesful Students (TOSS), an independent service learning project run by sophomore David Wiesley, recently completed its third successful year of collecting and repurposing gently used school supplies. TOSS tripled the amount of supplies collected, which allowed the organization to donate supplies to Monarch School, Johnson Elementary, Audubon Elementary, Casa de Amparo, San Diego Youth Services, and Toussaint Academy. TOSS has benefited an estimated 3500 San Diego students in need.